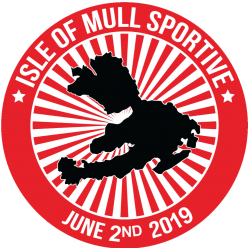 Entrants should attend registration on Saturday 2nd June, between 5pm and 8pm, where you will be issued with your event number. 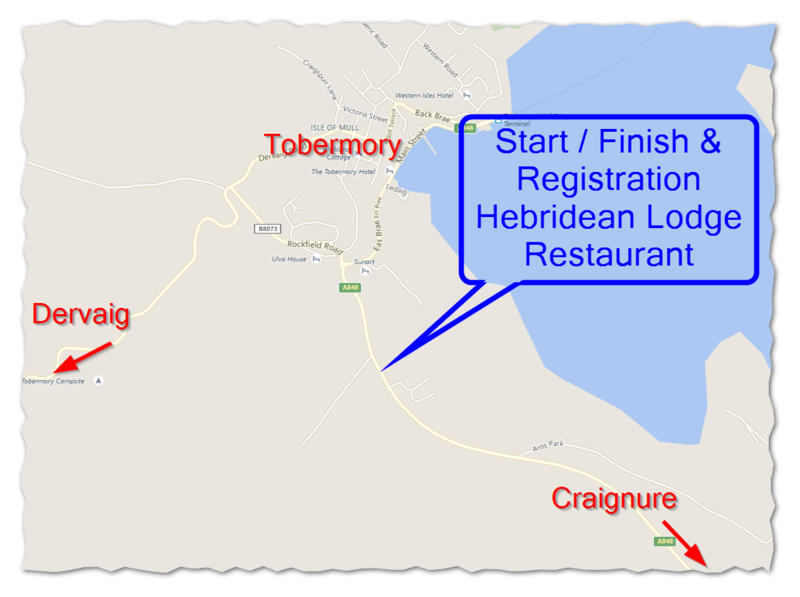 Registration is where we also have our start and finish, at Hebridean Lodge Restaurant. It is on the A848 Salen – Tobermory road, as you enter Tobermory (just after the 30mph signs). If you can’t make it to registration on Saturday evening, you may register on Sunday morning before the start instead. If you wish to do this, please ensure you arrive at least 45 minutes before your start time. If you wish to change which course you wish to ride, please just let us know at registration. The start and finish is just outside Hebridean Lodge Restaurant, Tobermory. There is limited parking, so please ride to the start if possible. It will be a controlled mass start. A vehicle will lead out the riders at moderate speed for the first half mile. You must not overtake the lead vehicle. See Routes page for full details, profile and GPX download if required. The two routes are well signposted, and with few junctions. We are using an electronic timing system. You will be issued with a number containing a radio timing chip at registration. 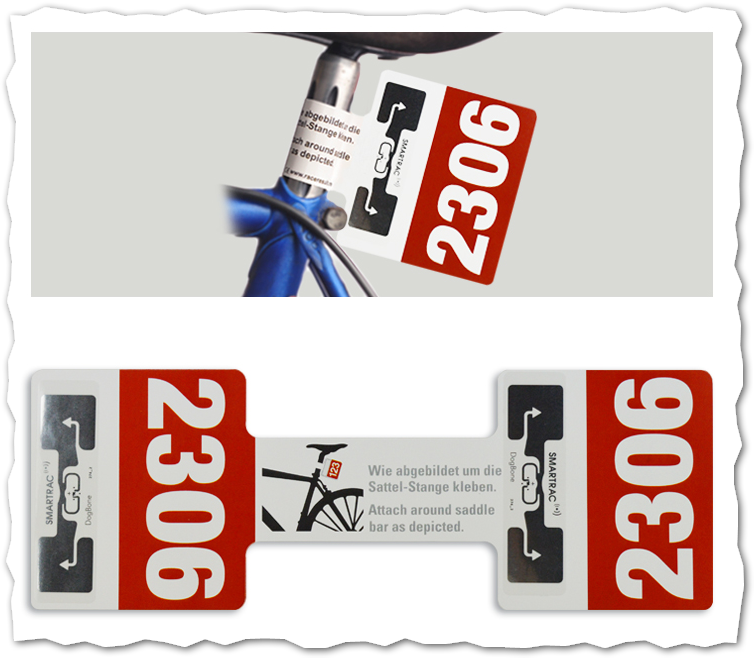 This must be mounted on your seat stem like the example below. Your official time will be available at the finish line, and will be published on the website live as riders come in. 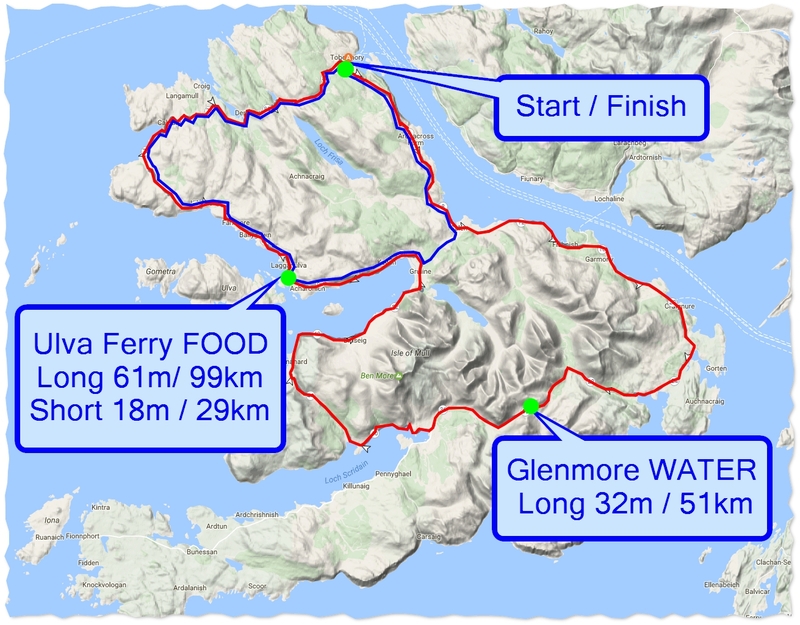 You will be provided with a finisher’s meal at Hebridean Lodge, included in your entrance fee. Please be aware that this is subject to availability, and very late returners may be disappointed. Your timing number is also your meal ticket! Please hand it in at the restaurant counter. Thanks to the hard work and donations of volunteers, there will be two refreshment stops en-route. First-aid cover for the day is being provided by trained Mull first-aiders. Their vehicles will be stationed throughout the island. In the event of an emergency, ring 07776 002309. If you cannot complete the ride for any reason, please ring 07710 484056. Both of these numbers are printed on your event number. This is important – if you don’t let us know that you cannot complete, we will start looking in ditches! A sweep vehicle will follow at the back of the field. If you need assistance, please wait by the side of the road in clear view.